When you buy gold, you have the unique opportunity to secure your financial future, protect the savings you’ve worked so hard to earn, and also create a better path to your retirement goals. ➜ I want to buy gold. What are my options? ➜ Are you ready to buy gold the right way? But if you don’t purchase gold the right way, or set the right expectations, then you could be headed for disappointment. Far too often, inexperienced gold buyers make their purchases too hastily – without any research or assistance from a skilled advisor. It’s no wonder then that these investors are stunned when they realize their investments weren’t as valuable or strategic as they thought. 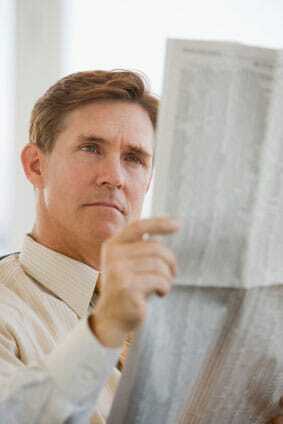 ➔ You could waste money on precious metals that are worth less than what you were led to believe. ➔ You could be pushed into making poor buying decisions if you make the mistake of working with questionable, inexperienced coin dealers. All of these situations are completely unnecessary and can be avoided simply by doing your homework and seeking the expertise of an experienced precious metals company. Below, we cover some basic tips on how you can buy gold the right way – as a sound investment in your future – along with a brief overview of your options. However, like any type of investment, you should be sure to speak to a professional who can help you determine the best course of action for your specific financial situation. When you buy gold, you’ll have a few different options to choose from, depending on your individual investment goals. Typically, serious investors and collectors of precious metals make their investments in one (or a combination) of the following: individual retirement accounts (IRAs) that are backed by precious metals, gold bullion bars and coins, and numismatic gold coins. Each investment has its own unique advantages and strategy, so let’s take a closer look at each one. ➜ A precious metals IRA is similar to a traditional IRA or 401(k), except it’s backed by gold and other precious metals. With the volatility of the stock market and other traditional investments, many Americans are making the decision to protect their assets by transferring their retirement accounts into physical gold possession. ➜ The same economic instability that weakens stocks and other paper investments actually increases the value of gold-backed IRAs, and provides safety and peace of mind. ➜ Precious metals IRAs are approved by the government, enabling you to enjoy the tax benefits of a retirement account, without the stress and anxiety attached to traditional stock investments. ➜ You can easily rollover an existing 401(k) plan from a previous employer into a gold-backed IRA. Or, if you have a Traditional IRA or Roth IRA, you can also convert a portion or all of it. ➜ When you buy gold bullion bars and coins, you are investing in a real, tangible, liquid asset. With a fixed supply, gold is unlike paper currency – it is a finite resource and thus has growth potential. ➜ The value of gold bullion is based primarily on weight, and thus has no numismatic value. For example, although the 1 oz. American Gold Eagle coin has a face value denomination of $50, the value of the coin was over $1,600 for most of 2012. ➜ You can easily store your gold coins or bars in your home, or in an insured, non-segregated depository. ➜ Numismatic coins, often viewed as “collectibles”, are valued not based solely on their precious metals content, but also on scarcity and condition. ➜ Numismatic gold coins are those minted prior to 1933 and are certified authentic by the Professional Coin Grading Service (PCGS) or the Numismatic Guaranty Corporation (NGC). ➜ Owning numismatic coins provides many of the same benefits as bullion. However, unlike bullion, the additional methods of valuation diversifies your exposure to more than one factor. ➜ Like bullion, your numismatic coins can easily be stored at home or in a bank safe deposit box. Purchasing gold as an investment is much different than, say, collecting coins as a hobby. It shouldn’t involve guesswork or high-pressure negotiations with pawn shops or dealers. Instead, your purchase should be based on a carefully developed strategy that matches your individual investment goals. And you should only buy gold (Wikipedia) from a reputable precious metals firm. 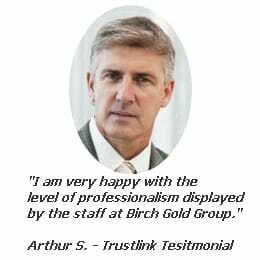 If you’re ready to protect your financial future and preserve your wealth, Birch Gold Group can help. 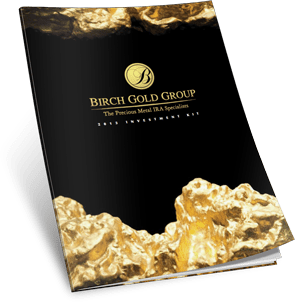 ➜ At Birch Gold Group, we are dedicated to helping our clients protect their portfolios with gold, silver and other precious metals in order to safeguard their future from the instability of the global economy. ➜ We offer a number of different investment options, including gold-backed IRAs, bullion and certified numismatic coins. ➜ Birch Gold Group maintains an A+ rating with the Better Business Bureau. Our skilled advisors will explain all your options and help you choose the right option for your situation. Unlike other firms, we use NO high pressure sales tactics. We are here to answer your questions and provide the expertise you need to buy gold with complete confidence. Let Birch Gold Group help you reach your long-term financial goals. Call us at (800)355-2116 or fill out the form on this page to learn more about your gold-buying options.